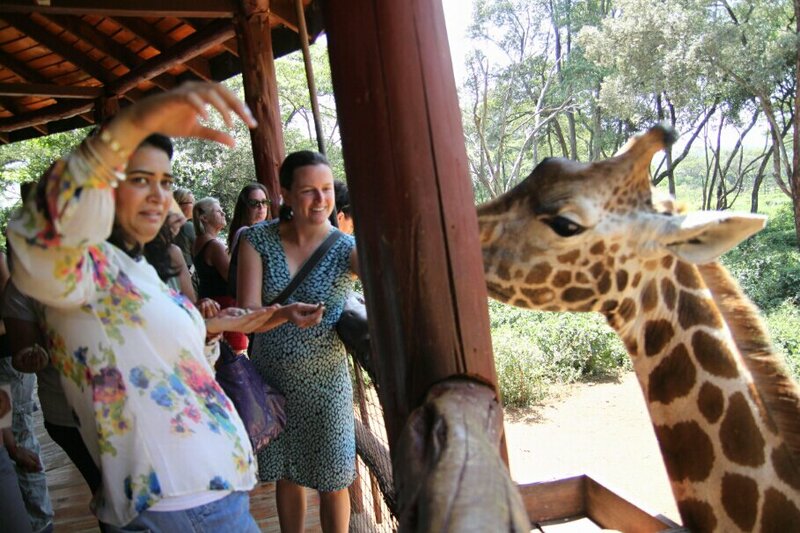 So we arrived back in Nairobi yesterday and decided our first stop should be the Giraffe Center. Here they are trying to bring back the endangered Rothschild giraffe. They help fund this project by letting people feed and pet these creatures. We arrived, walked up to the feeding platform, got a handful of food and had one walk right over to us. The giraffes were more than happy to take food out of your hand and the staff kept encouraging people to hold the food in your mouth for them to take. We were content just holding the food, but it was entertaining watching a few Brits make out with the giraffes. 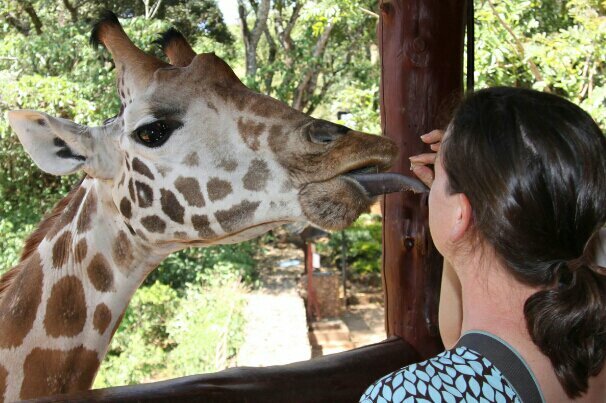 The first giraffe was less keen on being pet, so it would stop about eight inches away and extend its long, slimy tongue to take the food. Several of the visitors were grossed out by their now slimy hands (and sometimes faces). 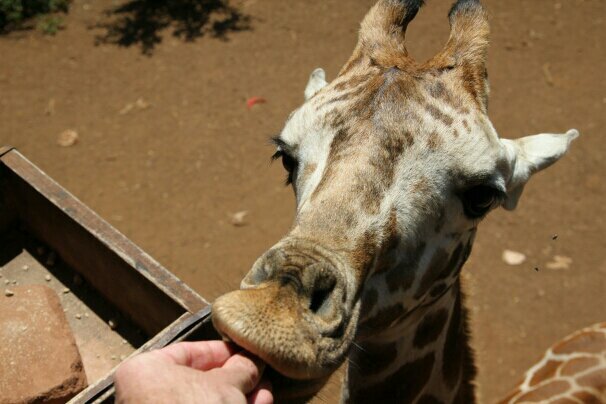 Eventually, that giraffe wandered and we were left with a handful of giraffe food. Coaxing another over was surprisingly difficult, but the next one was much happier being pet. After few minutes, another one wondered over and that one wondered off. This one, named Eddie, was happy to poke his head onto the platform and cuddle of there was the possibility of food. 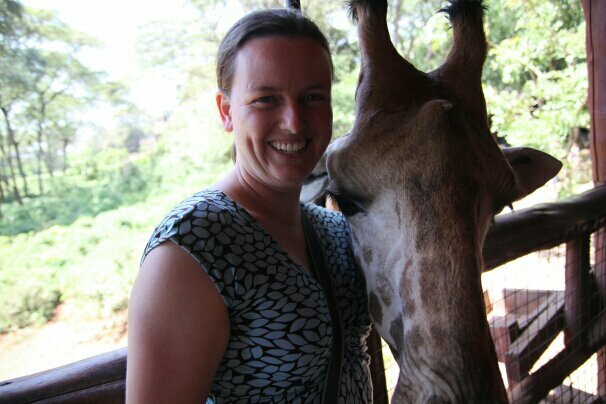 In the end, we spent 30 minutes or so with the giraffes. They also have a manor house on site they use as a bed and breakfast. In the morning the giraffes will reach through the window and share your meal. We looked at staying there just long enough to find out the price was over a thousand dollars a night, then went to the $30 per night place we stayed before. The next morning we went started walking towards the Masai market. The difficult part is that it isn’t in the same place from one day to the next. It took some searching, but we found it. Never before have I had such a larger family. Everyone greeted us as siblings or occasionally parents. There were calls of “Brother, look at this,” and “Sister, I made these,” and oddly “Papa, welcome to my store”. Next stop was an Indian restaurant for dosas, then to the National railway museum. There were all sorts of interesting artifacts and stories on display. One of my favorites was the bench that they would strap to the front of the train for VIPs to get an unobstructed view of the wildlife. 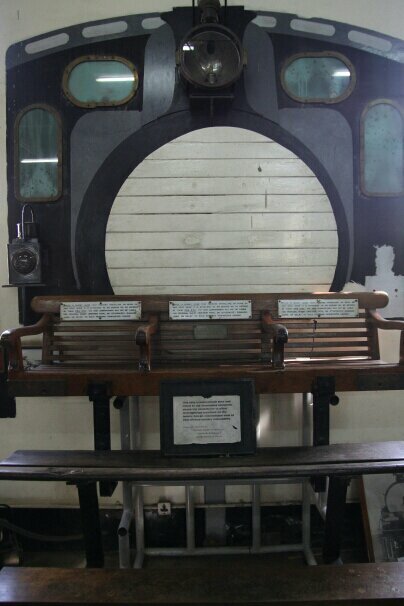 On the back of each chair was a warning that the railway claimed no responsibility for injuries, fatal or otherwise, caused by riding there. Of course on his visit, Teddy Roosevelt rode on the front. 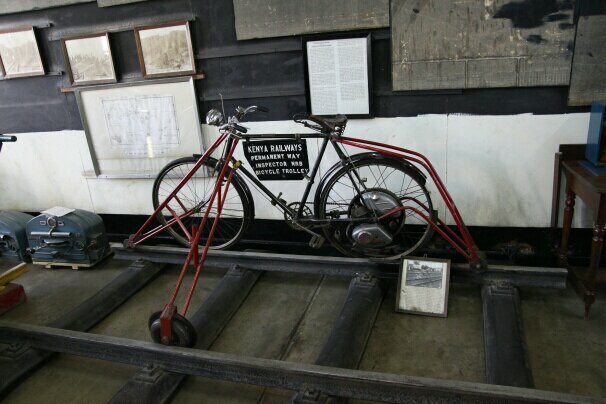 The other particularly interesting artifact was the rail bike that was built to help inspect the track. It was a regular bike with three extra arms attached, each with a wheel and an engine added to cover more distance. I’m not sure it was any safer than sitting on a bench bolted to the front of the engine, but it sure looked like a fun way to zip around a rail yard. After that, the was just enough time for drinks, packing and a decent night sleep before heading back to Ethiopia.